Drs. Douglas Weiss & Victoria Molnar Weiss both graduated from the State University of New York College of Optometry in 1989. Upon graduation they both received the Dr. Max Cohen Award from the Optometric Center of New York for Outstanding Community Service. Drs. Douglas and Victoria Weiss have been members of the AOA (American Optometric Association) since 1985 and have been members of VOSH (Volunteer Optometric Services to Humanity) for the same duration. During Optometry school,they traveled to Honduras with VOSH – Maryland and the newly formed SUNY VOSH Chapter. They organized and implemented a clinic offering examinations in a homeless shelter in New York City while still at SUNY. After graduation, the Drs. Weiss conducted on-site exams with NY Downtown Hospital’s Kress Vision Program providing services at shelters, soup kitchens, senior centers, as well as for the homebound with portable examination equipment. With VOSH-Northeast they traveled to Honduras, Guatemala and Nicaragua. Drs. Douglas and Victoria Weiss established their private practice in Lake Monticello in 1999 and Fork Union, Virginia in 2007. Since 1997, Drs. Douglas & Victoria Weiss have been providing eye care in over 14 nursing and assisted living facilities in Central Virginia. Drs. Weiss are one of two providers of Vision Therapy in the Charlottesville area. In 2006 Drs. Douglas & Victoria Weiss were voted Business Persons of the Year by the Fluvanna County Chamber of Commerce largely in recognition of their outreach efforts. Drs. Douglas & Victoria Weiss are Virginia Lions Hearing Foundation Elbyrne G. Gill Fellows. In 2009 Drs. 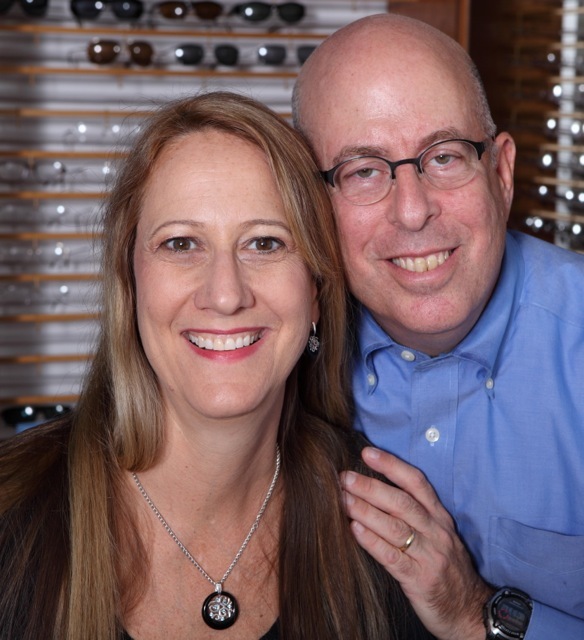 Douglas & Victoria Molnar Weiss were the Alumni of the Year at the State University of NY College of Optometry. Drs. Douglas & Victoria Molnar Weiss were selected as Fellows of the Virginia Academy of Optometry in 2011. Dr. Victoria Molnar Weiss has an undergraduate degree from the College of William & Mary. She began her career working at the William F. Ryan Community Health Center in New York City, which is a landmark federally based clinic which has served as a model for many other clinics in NYC and elsewhere. Simultaneously, Vicki was an associate in the practice of Dr. Lawrence Forgacs a contact lens specialty practice in Manhattan. After relocating to Central Virginia, Dr. Molnar Weiss helped to establish VOSH-Virginia (Volunteer Optometric Services to Humanity) and is the current Vice President of VOSH-Virginia. She helped to found the now well established RAM (Remote Area Medical) mission held in Wise, Virginia each summer and has also continued to serve as the Vision Director for both this program in Wise for the past 14 years and a similar mission in Grundy, Virginia for the past 7 years. She also led 3 Clinics in New Orleans, following Hurricane Katrina and in all has participated in over 30 RAM Clinics. Currently she has two private practices in Fluvanna County: Lake Monticello and Fork Union. She examines patients in over 10 nursing homes and assisted living facilities. Dr. Doug Weiss began his career in New York City, dividing his time between a private office in Mount Vernon, New York, The NENA Community Health Center in the Lower East Side of New York City, and with the Kress Vision Program, providing portable eye examinations throughout New York City to some of their neediest patients. Doug’s undergraduate degree is from SUNY at New Paltz, and his post-graduate Optometry training was from SUNY College of Optometry (where he also met the love of his life)! Dr. Weiss has a sub-specialty in Low Vision and works with the Department of the Blind and Visually Handicapped to assist patients from throughout Central Virginia and beyond with their specific vision needs. He has a strong interest in sports and Sports Vision and has spent many seasons coaching youth baseball and basketball. Doug sees patients in a number of nursing homes in the area and sees a number of homebound patients as well. He has worked in numerous volunteer eye care missions in Central America, in Honduras , Guatemala , and Nicaragua, and in the U.S. Doug has travelled to Wise County, Virginia to provide volunteer eye care there since 1999 and has done work in Grundy, Virginia and New Orleans as well.